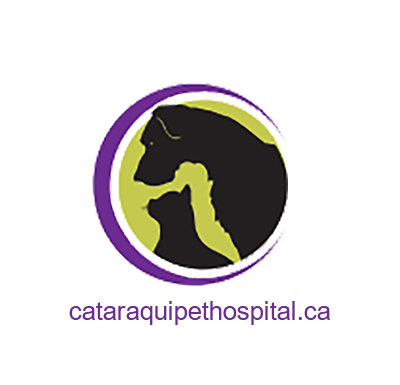 Christine graduated from St. Lawrence College and joined Cataraqui Pet Hospital as a veterinary technologist in 1992. 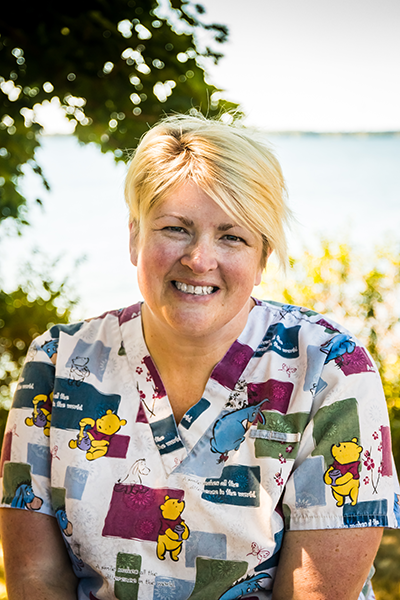 After years of loyal work, she began grooming at Cataraqui Pet Grooming in 2006 and started at Amherstview Pet Hospital in 2007 during the renovations of the Cataraqui grooming salon. 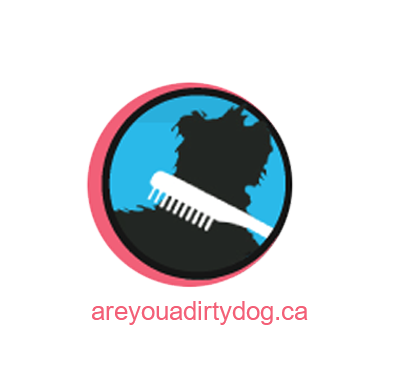 After going back and forth between Amherstview and the newly-renovated Are You a Dirty Dog?, she became the full-time groomer in Amherstview and has been grooming there ever since. 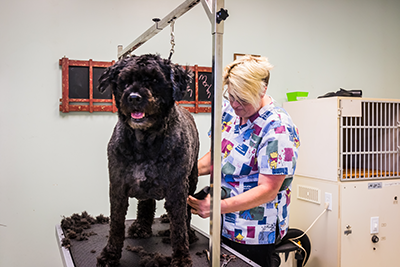 Christine loves grooming all dogs, but she especially enjoys grooming curly-coated breeds, such as poodles. 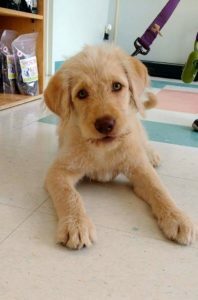 Feeding a higher quality food leads to a longer and healthier life for most pets, with lower veterinarian bills. 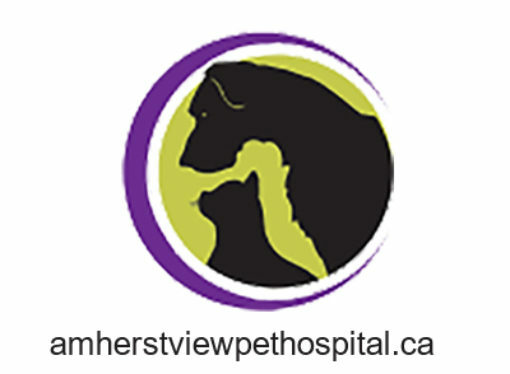 The cost of the higher quality food over the life of the pet will be off-set by lower veterinarian bills and reduced risk of health issues that are a result of improper nutrition. 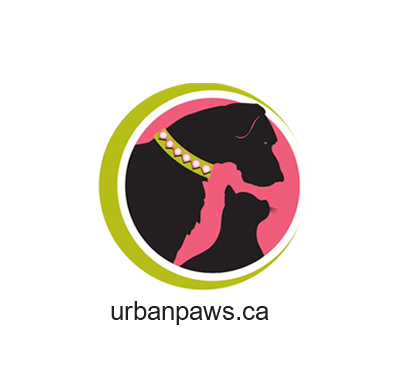 Our professionally trained groomers ensure a stress-free experience using expert handling techniques and premium, safe products. 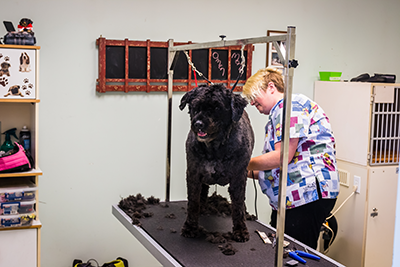 We will groom your dog to breed standard, or to your own personal preference. 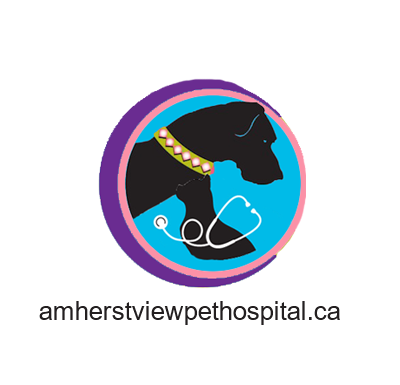 An important role of the veterinarian is to develop a partnership with pet owners that will pave the way for a lifelong health care plan. A wellness program can help prevent the onset of disease or catch it early enough to minimize the impact on the animal's health.